COLUMBIA, Mo. 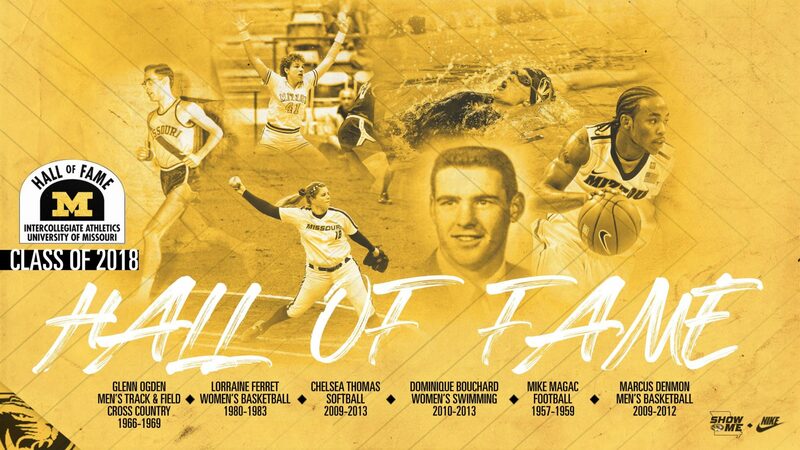 – Six outstanding former University of Missouri athletic figures have been selected for induction into Mizzou’s Intercollegiate Athletics Hall of Fame. They will represent the 28th induction class since the Hall’s inception in 1990. The class will be formally inducted Fri., Oct. 19, and the group will also be recognized at the Mizzou Football Homecoming game the next day against Memphis. The Friday celebration is open to the public, and a limited amount of tickets will be available for purchase, with details to follow soon. One of the most dominant and feared pitchers of her era who helped elevate the Mizzou softball program to one of national prominence. Is the only Tiger softball player to be named a first-team All-American three times, and also won conference pitcher of the year three times. 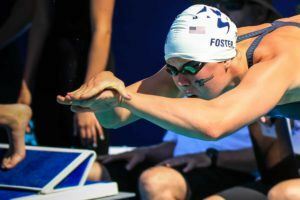 Established herself as the most decorated swimmer in Mizzou women’s program history, as the backstroke specialist won eight All-American honors in her time in the water. 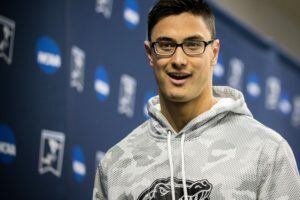 Twice was the national runner-up in the 200 backstroke at the NCAA Championships, finishing second in both 2011 and 2013, while also taking third in the same race in 2012. 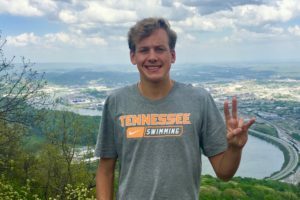 Placed seventh individually in the 100 backstroke in 2013 at the NCAA Championships, following an 11th-place finish at nationals in the 100 back in 2012. 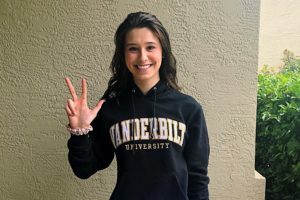 Her time in the 2013 NCAA 200 backstroke of 1:50.06 broke Mizzou’s school record (and still stands today), and at the time it was the seventh-fastest mark in history. Her performances at the NCAA Championships helped boost Mizzou to unprecedented heights, and helped lay the foundation for the program to develop into a perennial top-20 program. 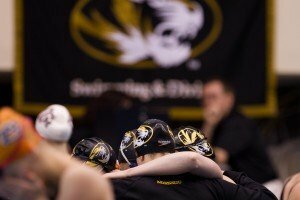 Mizzou finished 14th as a team in the 2012 championship meet, which was the highest-ever showing at the time, and they equaled that same mark again during her senior season of 2013. Was a two-time conference champion in the 200 backstroke. Qualified for the Canadian Olympic Swim Team for the 2016 Rio Olympics, and was also a 2015 World Championship qualifier. 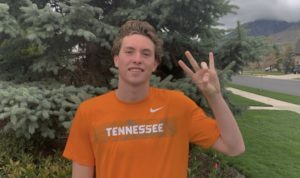 Earned three medals at the 2015 Pan American Games, including a gold medal in the 4×100 freestyle relay, and silver medals in the 200 backstroke, as well as the 4×100 medley relay. Excelled in the classroom, winning CoSIDA Academic All-District honors, while also being named first-team academic all-conference three times. Kansas City native who became one of the most revered Tigers in recent years as he developed into one of the most dependable and clutch scorers in Mizzou history. Ended his career ranked fifth on MU’s all-time scoring chart, with 1,775 points, averaging 12.6 points over 141 career games. Averaged a career-best 17.7 points as a senior in 2011-12 and won consensus second-team All-American honors during a magical season where he led the Tigers to a 33-5 record and the Big 12 Conference Tournament championship in MU’s final year in its former league. Ended his career ranked second on Mizzou’s 3-point field goals made list (283), fifth on the career steals list (178) and sixth on the free throw percentage list (79.9%). Was a two-time first-team All-Big 12 pick (2011-12), and joined a select Mizzou fraternity of all-time greats to be a two-time first-team all-conference player – including Kareem Rush (2001 & 02), Melvin Booker (1993 & 94), Anthony Peeler (1990 & 92), Doug Smith (1990 & 91), Derrick Chievous (1987 & 88), Steve Stipanovich (1982 & 83), Jon Sundvold (1982 & 83), Ricky Frazier (1981 & 82), Willie Smith (1975 & 76), John Brown (1972 & 73), Charles Henke (1960 & 61), Norm Stewart (1955 & 56) and Bill Stauffer (1951 & 52). Sank one of the most iconic shots in Mizzou Basketball lore, when he nailed a three-quarter court heave in a Sweet 16 game of the 2009 NCAA Tournament against Memphis to beat the halftime buzzer. His shot gave #3 seed MU a 49-36 halftime lead over #2 seed Memphis, and helped propel the Tigers to the Elite Eight. Might be most remembered for his nine-point outburst in the final moments to lead a furious comeback win over rival Kansas in 2012. Mizzou trailed at home by a 71-63 score with just 2:05 to play, when he scored a conventional three-point play to make it 71-66, then he hit a heavily-guarded pull-up three pointer with 1:30 left to make it 71-69. Then gave Mizzou the lead at 72-71 with :56.3 seconds left with yet another step-back three-pointer from the corner. The fourth-ranked Tigers would hold on for a 74-71 win over the eighth-ranked Jayhawks as he finished with 29 points, and nine rebounds. Went on to be a second-round draft pick by the San Antonio Spurs in the 2012 NBA Draft, and has gone on to a successful professional career in Europe. A pioneer of women’s basketball at Mizzou who still is littered all over the program record books, more than 30 years after her prolific career drew to a close, as she helped lead MU to national prominence. Was an honorable mention Kodak All-American in 1983, and that same year was also a finalist for the Wade Trophy, given annually to the top female college basketball player. Earned All-Big Eight Conference honors in 1982 and 1983 who was a standout on some very successful Tiger teams coached by Joann Rutherford. As a senior in 1982-83, Mizzou went 25-6 overall and reached the NCAA Tournament, finishing 15th in the final polls, while the 1981-82 Tigers went 24-9 and reached the NCAA Sweet Sixteen, while finishing 20th in the polls that year. Ended her Mizzou career with 1,624 points, which ranked as third most in school history at the time, and still ranks as sixth-best currently. Led the team in scoring as a sophomore (15.5 points per game) and as a junior (15.5 ppg). Also ranks eighth on the Mizzou career rebounding chart, with 788. Went on to a standout pro career in Europe, playing primarily in Italy and Switzerland. Became a trailblazer in Switzerland, where she was the first American woman to compete professionally there, and she also won the Swiss League scoring title four times. Known as one of the toughest, meanest and most physical linemen to ever lace up the cleats for Mizzou, who was a second-team All-American selection in 1959 as a senior. Twice won first-team All-Big Eight recognition as an offensive lineman (1958-59) and was respected as a leader, as he served as his team’s co-captain in 1959. That team went 6-5 under second-year coach Dan Devine and reached the 1960 Orange Bowl against Georgia, finishing with a final national ranking of 18th in one poll. Represented Mizzou in the 1960 Hula Bowl and the 1960 College All-Star Game, and later went on a seven-year career playing in the NFL from 1960-66, including five years with the San Francisco 49ers and two more with the Pittsburgh Steelers. Was a second-round draft pick in the 1960 NFL Draft by the 49ers (as the number 16 overall pick), and he went on to play in 78 games (starting 22) in his pro career. He passed away in August of 2003 at the age of 65. An outstanding distance runner and leader for the Mizzou men’s track and cross country programs who was a three-time All-American, setting numerous school records in the process and who was a team captain on some outstanding teams. Earned All-American honors twice in the NCAA Outdoor Championship, including a national runner-up finish in the three-mile run in 1967 with a time of 13:58.6, followed by a fourth-place showing in 1969 (13:52.6). In cross country, finished undefeated in dual meets in 1966, and in 1967 he became an All-American, finishing 15th in the NCAA Championships (32:20) to help lead Mizzou to a team finish of sixth place. That same year, he helped guide Mizzou to its first conference cross country championship in 38 years. At the 1968 NCAA Cross Country Championships, he placed 33rd individually, leading MU to an 11th-place team finish. In outdoor track, was a two-time Big Eight Conference champion, winning the outdoor three-mile run in 1968 (14:15.3) and in 1969 (13:57.6). Broke Mizzou distance records in three different events in his time in the uniform, including the two-mile run (8:46 in 1967), the three-mile run (13:42.8 in 1968 at the Texas Relays) and the 5,000-meter run (14:31.5 in 1968 at the Kansas Relays). His two-mile record stands today as the school record in the event. He earned an engineering degree from Mizzou, and went on to a very successful career with Procter and Gamble. Arguably the most prolific and dominant softball player to ever suit up for Mizzou, who was one of the top collegiate pitchers of her era and who helped raise the profile of the Tiger program to the national level. Was a three-time NFCA first-team All-American (2011-12-13) and is the only Tiger ever with three first-team honors. Three times was named her conference’s pitcher of the year, winning the award in 2011 and 2012 in the Big 12 Conference, and again in 2013 in MU’s first year with the SEC. 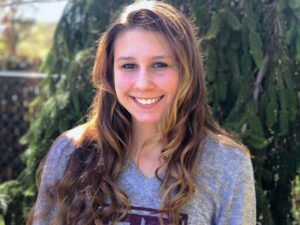 Also excelled in the classroom, where she earned second-team CoSIDA Academic All-America honors in 2012, while also being named academic all-conference three times. Helped guide the Tigers to the 2011 Women’s College World Series with a dominant season that included an MU-record 32 wins and 397 strikeouts in the circle. Holds numerous program records, including career wins (111), strikeouts (1,174), no-hitters (10 – eight solo) and perfect games (four – three solo). Posted a career record of 111-31 with an earned run average of just 1.23. Mizzou reached the Women’s College World Series in each of her first three seasons, winning 50 games in 2009, and following with 51 wins in 2010 and a program-best 53 in 2011. 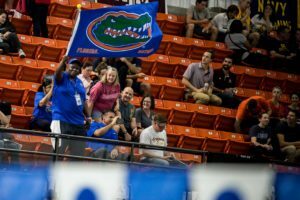 The current class will up the Hall’s membership to 214 individuals and four teams. Inductees are honored in a display located in the main entrance at Mizzou Arena. Congrats Dominique! One of the best back half swimmers I have ever seen. Well deserved.